It’s still National Women’s Health Week, so post and tweets are all about things we can do to get healthier. A major concern to women, and me, is Diabetes. It’s been called an epidemic with predictions of increasing numbers in children. Type 2 Diabetics are four times likely to die from heart disease. For an eyeopener on what diabetes does to the body, watch this short Oprah video. Can 90% of type 2 diabetes really be prevented by lifestyle changes? Numerous studies say ‘yes’ we can prevent or control Diabetes 2 with changes to our eating and activity level. I’m a believer in lifestyle changes, mainly because my mother has had Diabetes 2 for 45 years. Unfortunately I can’t say she is in tip top health, but she does pretty darn well for 84 years-although for the past 7 years she’s been legally blind (lost vision due to diabetes) and has constant pain in her legs (poor circulation). Last year I posted a story about Mom and the battle for the three layer chocolate cake. I know first hand how difficult controlling diabetes can be. Lots of times it’s a meal by meal battle. This morning she wanted to go out to eat, after an appointment, and she didn’t care if it was afternoon, she wanted pancakes, not a salad. So off we went. She was in a good mood, so she took my recommendations for multi-grain pancakes and sugar free syrup. I lost on the bacon issue (limiting red meat or processed meat lowers your risk of diabetes). “I’m old, let me have some pleasure,” she wailed. I still managed to whisper “no butter on the pancakes,” to the waitress. 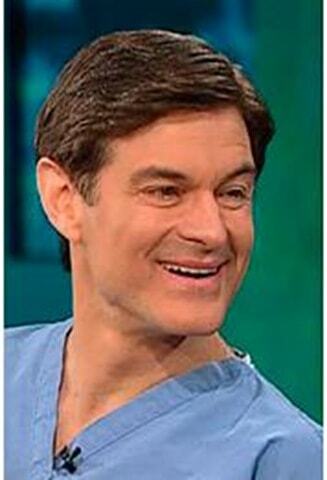 Lately, Mom’s been trying to make better food choices, not because of her 4 children, but because she loves Dr. Oz. So in honor of NWHW, my mom, and Dr. Oz, I thought I’d share four ways he recommends to beat back diabetes:(from June ’12 issue of Oprah magazine). Eat wisely: chose whole grains, fill up on fiber (berries, veggies), enjoy the antioxidants of a few cups of java (light on sugar,cream) which studies found to reduce blood sugar levels. Sweat it out, get moving: walk that dog, spouse, child-whatever, just get out there for 30 minutes a day, five days a week. Get your heart rate up. Build muscle-strength train for 10-15 minutes four times a week, take the stairs, ride a bike, skate, chase your toddler. Start supplementing: Fortify with magnesium which is found in beans, green veggies,nuts and whole grains. Use cinnamon, about 2 teaspoons, in your coffee, oatmeal, tea, baked apple. Add Alpha-Lipoic Acid (mom’s current favorite). Dr. Oz says it protects retinas from glucose damage and lowers triglycerides. Change your attitude: Be mindful of your health, Insulin levels are strongly linked to melatonin (the sleep hormone), when you have poor sleep it can cause fluctuations in blood sugar-so get your 8 hours. Relax: listen to music, find a positive support system, meditate for 10 minutes, stop and take deep belly breathes. Take the Diabetes risk quiz on the ADA site. They have several more tips on living with Diabetes, food and fitness, and research. Give some of these suggestions a chance and remember the NWHW theme: It’s Your Time. Do you have concerns with diabetes or have to do battle with your parents or loved ones? What works for you?